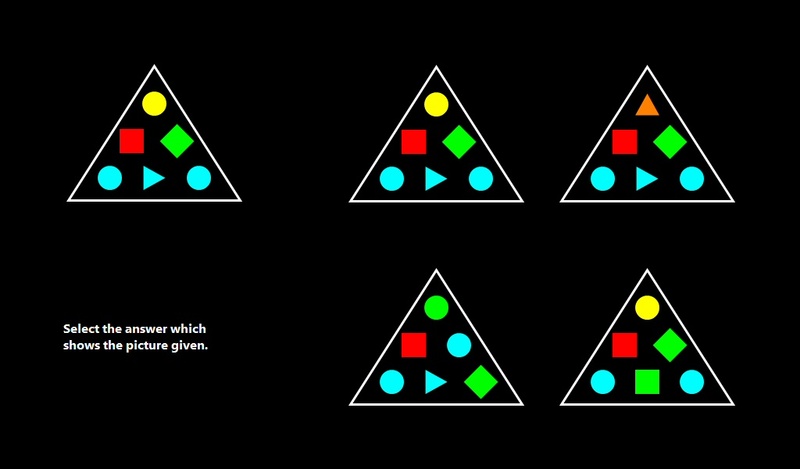 Matching Shapes is a visual perception and short-term memory test. The test introduces a reference set of symbols contained in a triangle briefly before offering four answer options. One answer option will match the reference set.